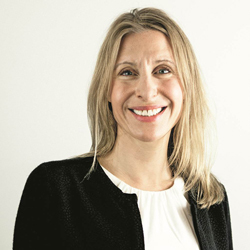 VCCP Health has announced the appointment of Beverley Newbury as their new Managing Director. Beverley has been part of the management team for the past five years and responsible for leading the account handling department. Beverley has also driven training for internal teams and clients, in order to continuously push boundaries within healthcare communications. Beverley has 20 years’ industry experience. With a Medical Sciences MSc, she began her career as a sales representative for Pfizer. Working alongside the marketing team, she became interested in brand strategy and campaign development and decided to move into the agency world. Her first roles were at Grey Healthcare (UK and US). She subsequently worked at large network agencies, including McCann Health and DDB Remedy, on a range of global and UK campaigns, before joining VCCP Health in 2012. 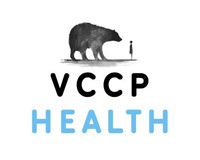 For more information on VCCP Health, visit www.vccphealth.com, follow us on Twitter or LinkedIn or contact Beverley Newbury, MD (beverleyn@vccp.com, +44 7595 003 744). Blog: Digital therapeutics: within our reach? Digital therapeutics is a hot topic right now. By using digital technology to manage, treat or even prevent chronic conditions, digital therapeutics is promising to revolutionise healthcare. But is this still pie in the sky thinking or could we expect this as our prescription in the not-so-distant future? To help us answer this, let’s look at the key areas where digital therapeutics is being developed. VCCP Health won a record-breaking 10 Golds at the PM Society Awards for their work with Teva and LEO Pharma. VCCP Health has announced the appointment of a new creative team: Sadie Mayes (Art Director) and Tess Evans (Creative Copywriter). Having worked at agencies including Havas and ICC over the past 6 years, Sadie and Tess have successfully delivered award-winning digital healthcare campaigns. Not only do they bring experience working on Rx accounts such as the immunology biosimilar portfolio for Novartis, but passion and expertise for animal health, disease awareness and charity work.